Caribcast will host a launch event on August 1st to introduce a joint endeavor with Jamaicans.com, a public affairs TV program called The Caribbean Diaspora Weekly (coming to South Florida mainstream television later this year) and Irie Times, an online Caribbean oriented broadcast channel that will be joining the Caribcast lineup. The event will take place at the Grand Palms Resort (in the L’Fontana Restaurant & Lounge)on August 1, 2014, at 7:00PM. The Grand Palms Resort is located at 110 Grand Palms Drive, Pembroke Pines, Florida. “We are extremely proud of the content and quality of programming we have been able to produce with The Caribbean Diaspora Weekly, and we are excited to present it to the greater South Florida audience,” said Tyrone G. Robertson, CEO of Caribcast. 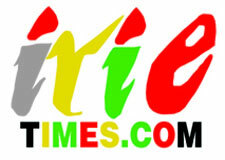 “We welcome Irie Times and its extensive community of viewers and listeners to the Caribcast family and look forward to enhancing new media offerings to satisfy the multimedia needs of the Caribbean diaspora”. The Caribbean Diaspora Weekly is a joint television production of Caribcast, Jamaicans.com and Blondie Ras Productions. The 30-minute public affairs series offers light and entertaining news, interviews and opinions from the diaspora. It currently broadcasts in over 20 Caribbean countries and 9 North American regions via Caribvision and One Caribbean cable channels. In South Florida, it can currently be viewed in West Indian restaurants on Caribcast screens. [. . .] Collaboration between Irie Times and Caribcast will position these digital properties as viable media outlets to consumers and business entities alike. Live event streaming, multi-screen viewing, social media sharing and advertising are just a few of the services that are being offered. The launch event is open to the public who can RSVP at cthompson@caribcast.tv. Special guests will be in attendance.